From US-101 in San Luis Obispo take SR-1 Northwest toward Morro Bay, going approx. 5 miles to Front Gate of Camp San Luis Obispo (on the left hand side of the road). Turn left and enter the front gate of Camp San Luis Obispo using the right lane. They'll open the gate for you. Upon enter the installation, make an immediate left hand turn onto San Joaquin Ave. Look for the Billeting sign on the right (Bldg 738). There's room for big rigs to park in front of Billeting. After checking in, make an immediate right (SW) onto Ventura Ave. Continue straight until you cross a bridge over the creek. Then make an immediate right turn (NW) onto Colusa Ave. Continue on Colusa Ave. until you come to a closed gate. The campground is on your left. Accepted 30 days in advance. A credit card is required for a reservation, but you can pay by check or cash at check-in. If reservations are not canceled 72 hours in advance, there is a 1 night charge. There is a 30 day stay limit per calendar year. No Internet access at the campground. There is a dial-up connection at the Billeting office. Not accepted at the campground or Billeting. Allowed with usual leash and clean-up rules. Limit of two per RV. There are books and VHS available for checkout from the Billeting office. Low price is for official duty, higher price is when not on official duty. The Billeting (check-in) office hours: Daily 0800-1630. Closed on federal holidays. The are enforcing the 1 PM check-in time. Retired is allowed to use dining facilities. What we have here is a California National Guard camp. Lots of cool old buildings circa 1920’s and 30’s. Caution; You will never make it through the very tight barriers at the main gate so enter the camp using the right hand lane; the guard will open the sliding gate. Leaving is no problem through the barriers. Check-in at the billeting office (immediate left after clearing the main gate). The small campground is very nice gravel road and sites, lots of grass between sites and a concreate pad with picnic table. The overflow area was a bit swampy due to the huge amount of recent rain. The bathhouses with showers were fairly new and very clean. Not much happening on the camp, a small mini-mart exchange has some essentials. Laundry is across the street from the mini-mart collocated with a small café. There is a dining facility open for use, but the hours are very narrow to catch one of the meals. Small number of guard personnel there, making for a very quiet and peaceful place with nice pastoral views. 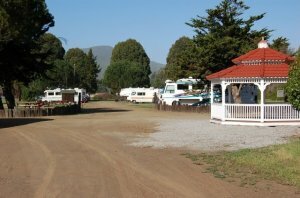 Great location halfway between SLO and Morro Bay for visiting area attractions. This is a very basic park but well kept. The entire area is clean, lawns mowed, quiet and generally a very pleasant place to stay. The utilities are well located and worked well. 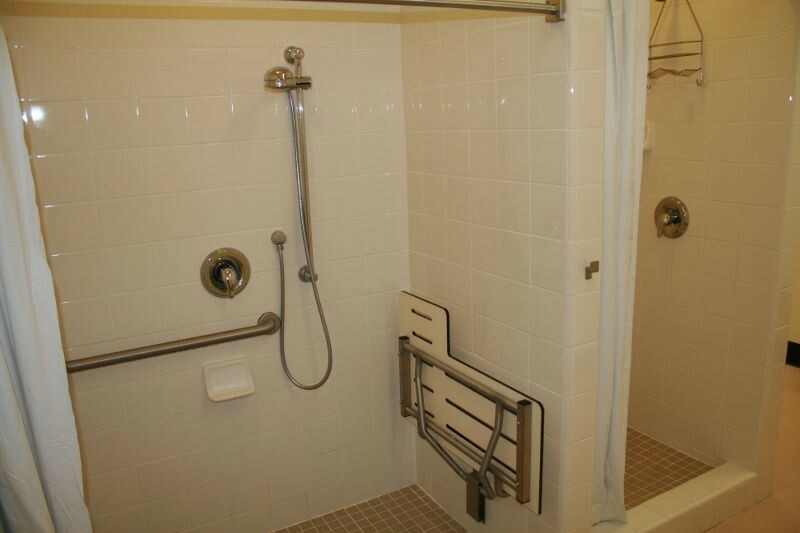 There is lots of room between each site - lots of elbow room, no crowding. The area of San Luis Obispo is a nice place to visit and scenic. There is no wifi but cell signal (verizon) was strong. There is a family of deer that roams around the park and fun to watch. All sites are pull through and easy in/out. No complaints except wifi. We would go there again. Hadn't been here since '76 when I got commissioned here. 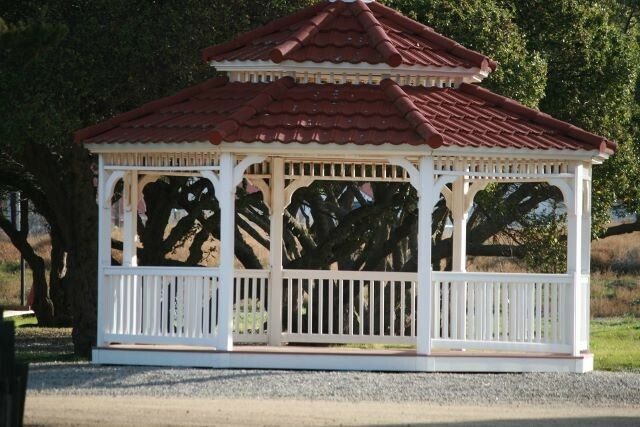 Known back then as the California Military Academy, it is also where Actor Tom Selleck recieved his commission. There are only a couple of the two person huts that we stayed in still on Post, but they bring back memories. 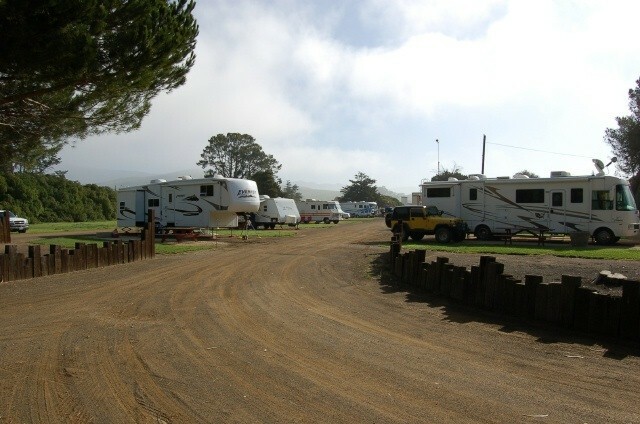 I digress, the RV Park is great as all the spaces are pull throughs. 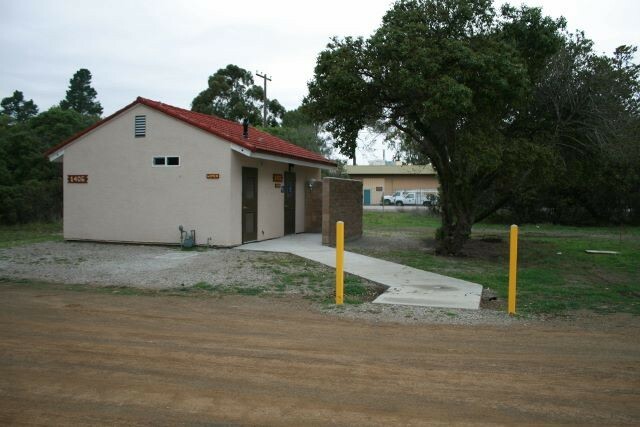 There is also a bathroom/shower house right in the RV Park. As you pull in to the main gate, stay to the right when driving a big rig or pulling a trailer/5th wheel. The Guard will come to you for ID check and open the gate there. 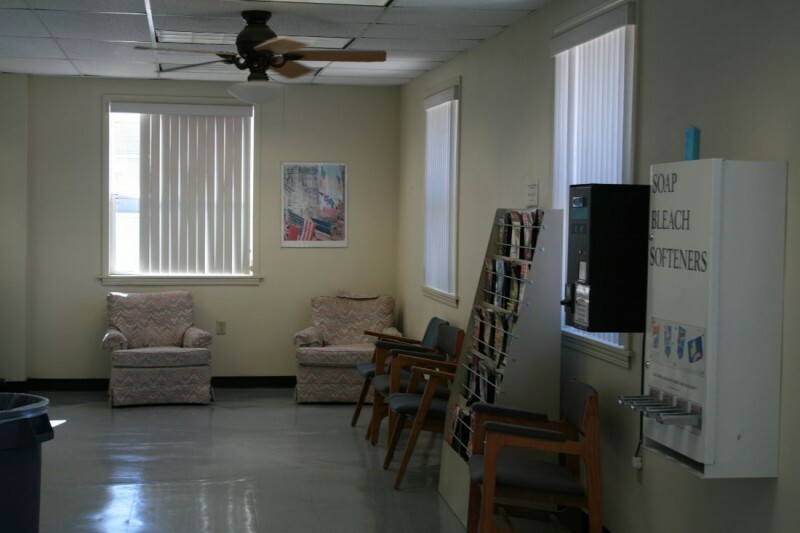 There is a little Cafe/laundry facility where you can also access Wifi 24/7. The Cafe closes at 2pm and on weekends, but the laundry remains available. The small exchange has recently reopened but is only available Wed - Fri. There is a Golf Course right up HWY 1 about a half mile from the gate, (right at the light). 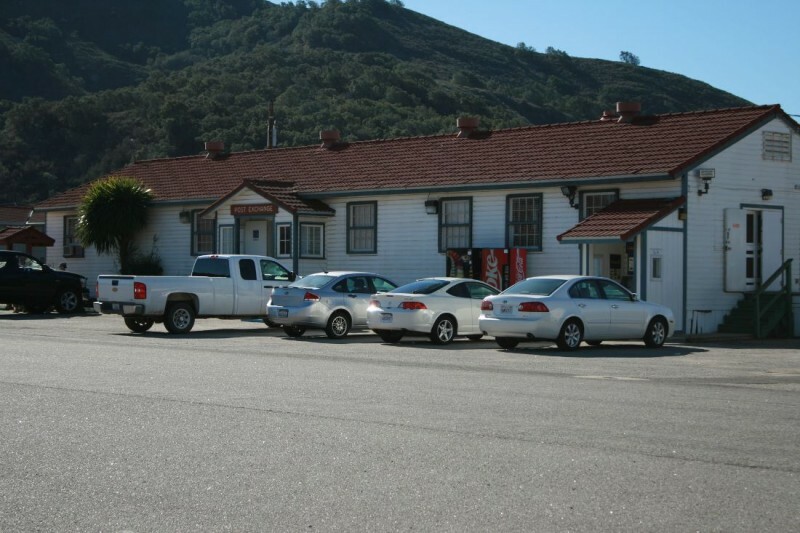 SLO has a Costco and there are numerous other businesses available in the shopping area as well as a Home Depot, go south on HWY101 about two miles. The Madonna Inn is about a mile south and there are other businesses available off that exit. Morro Bay is about 5 miles north on HWY 1 and there are numerous places to eat and shop as well as the famed Morro Rock which you can drive right up to. 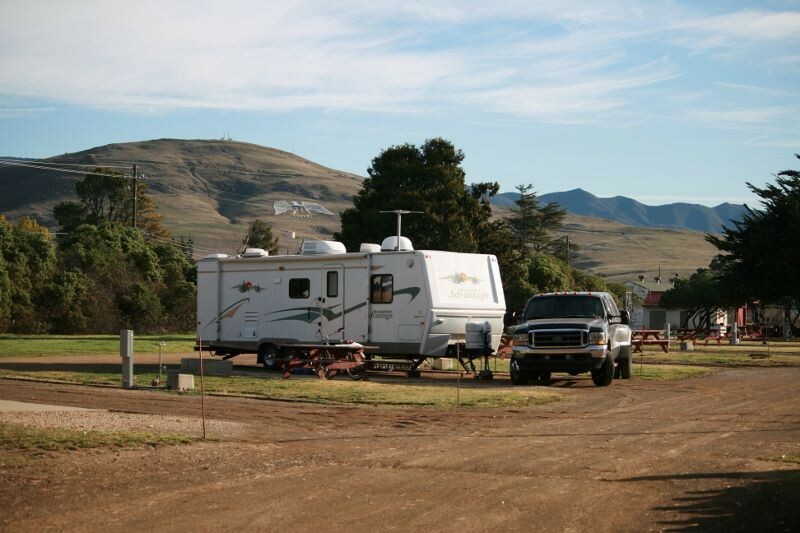 This is a nice little RV Park and the proximity to amenities in the area is great. Reservations must be made directly with the office staff. Hope this helps, safe travels. 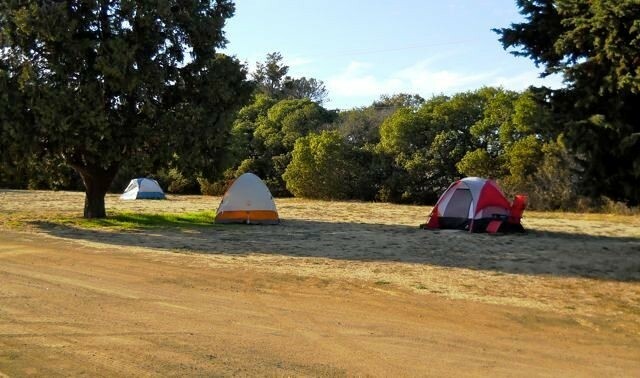 if you have read these ratings at all you know that everyone agrees camp san luis Obispo has "NOTHING" for kids to do, so it constantly amazes me that folks still bring them here. as I sit I watch people camped in overflow, camping for $5.00 all with a load of kids. for the past three days they have literally trashed the shower houses using them for playgrounds, having water fights and then throwing dirt clods into the showers at one another, what an awful mess they make daily for the custodial crew to have to clean up. why on earth would you bring a tribe of kids to a camp with zero things for kids to do, that's what KOA campgrounds are made for. I found out today that all these kids are not with military people but with civilian contracters. shame on you people, the army gives you this privilage and you take advantage of it. I really hope that the administration stop the practice of allowing non military people into the park. 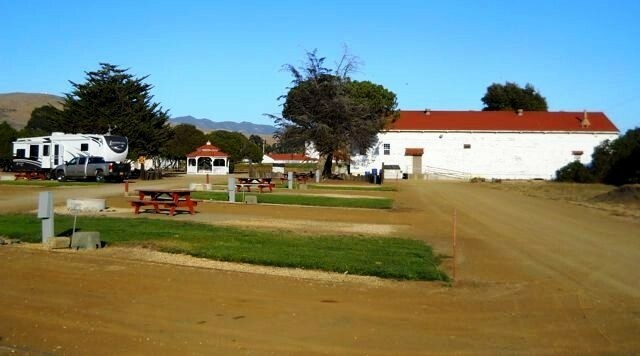 This is our second stay at Camp San Luis Obispo and certainly not our last. The campground and base were very quiet and there were only 4-5 campers here the whole time. The sites are gravel, level and spacious. Each site has a fire pit and picnic table. 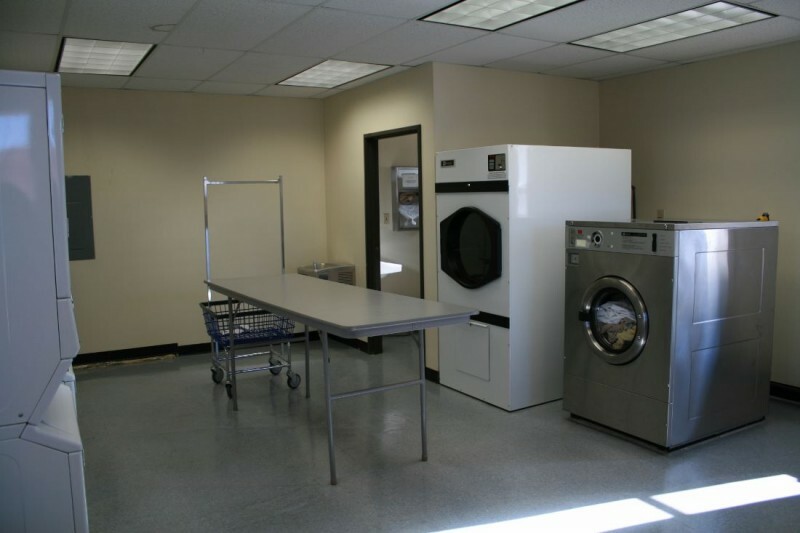 There is no cable or wi-fi and no pool but there is a small exchange on base and a laundry facility. You can also eat at the dining hall on base. Plenty of room to ride your bike or walk your dog. All base staff are very helpful especially the girls in the billeting office. We used our satellite for tv and used our phone hot spot for internet with no problem. This is a great location for visiting the Hearst Castle. elephant seal rookery, area beaches and lighthouses. San Luis Obispo is a quaint little town with many shops and restaurants. We love the quiet here and great location. yes this park has became hard to get into in the summer. with only 12 spots it fills up fast. you say "long termers" I don't understand that, the park has a 30 day limit per stay, no one to my knowledge has ever stayed 31. in fact there was a long time customer there this summer that was actually camped in the overflow area "boon docking" and at 29 days he was advised again that 30 days was the limit ant the next day had to leave, so I would need to know what you mean by long termers. 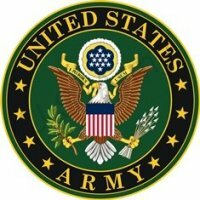 you are correct, CSLO is not a senior center and national guard members have preference (as it should be)it is a small park with very little in amenities, but we love it anyway and the girls in the office rock ! This is a great little park. The only downside there are not many sites so getting in can be a bit of a challenge. We were welcome to eat in the mess and the evening we ate there was very good. There were a few long termers which makes it even tougher to get in. I understand the active duty but there are others who "summer over" from the hotter inland spots. Lady who checked us in was very pleasant and helpful. They have a number of dry camp spaces which I would gladly use them. There was a family gathering while we were there with quite a few youngsters but this is not a retirement village. Everyone was very friendly and respectful of each others privacy. well, I guess we should have seen this coming. we said so many nice things that the camp is now packed to the rafters. dogs, cats, kids on bikes loud radios, well, so much for quiet and peaceful. SLO is still a great place, hopefully it will spike and then go back to what it once was. the overflow looks like, well, never mind. the ladies in billeting are great to deal with and it looks like the storage has taken off well. all in all CSLO is my favorite, just think I will not try for summer time any more, winters are very quiet and peaceful. This famcamp is nothing special, it's very small but it's quiet and conveniently located to Pismo and Morro beach. 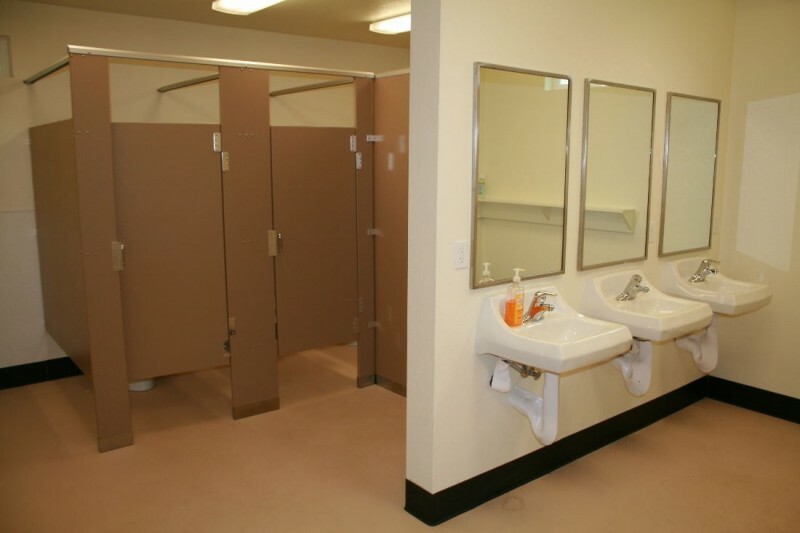 Bathrooms are very clean. Laundry is away from the campground. 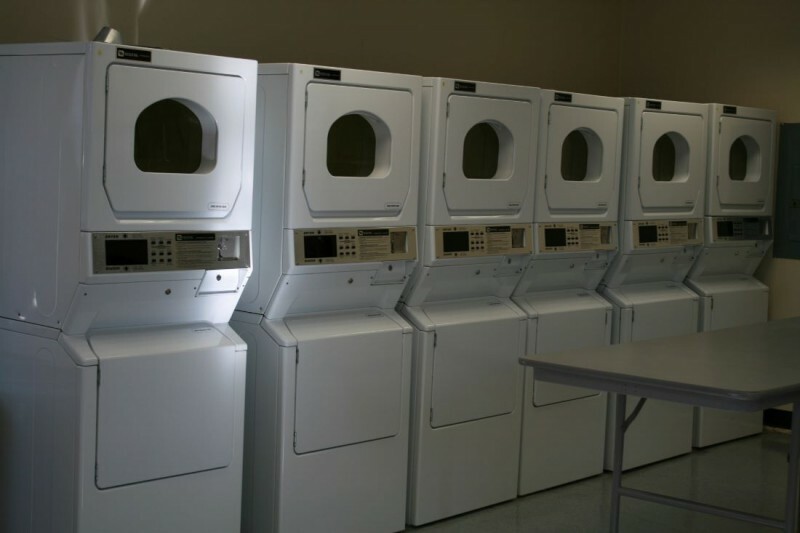 $1.50 for washers and .50 cents for dryers. Sites are big and roomy. No wifi. Lots and lots of rodents so watch that they don't sneak inside. Lots of eagles circling. Very small commissary. Not a bad place, just no amenities. Playground for children but most of the equipment is missing. I.E. : swing set with no swings. Deer running through from time to time. If you're looking for a decent quiet stay, this place is great. Great location for visiting the central coast of California. Small campground with only 12 spaces, but very accessible, clean, and quiet. We have a 45 ft Diesel pusher and even towing a full size pickup had no problems accessing the base or the campsite. The site was long enough to fit the coach, and with the pickup unhooked there was room to park beside the the coach. The billeting office gal was very helpful both on the phone and when we arrived. We stayed 4 nights and the easy access to Morro Bay, San Simeon, and points north on highway one was great. At $23 per night this was a bargain, and really worth the cost compared with some of the other Military campgrounds we have stayed at. Roomy site, full hook ups, close to both US 101 and US 1. Definitely will use the park again if we can get a reservation. 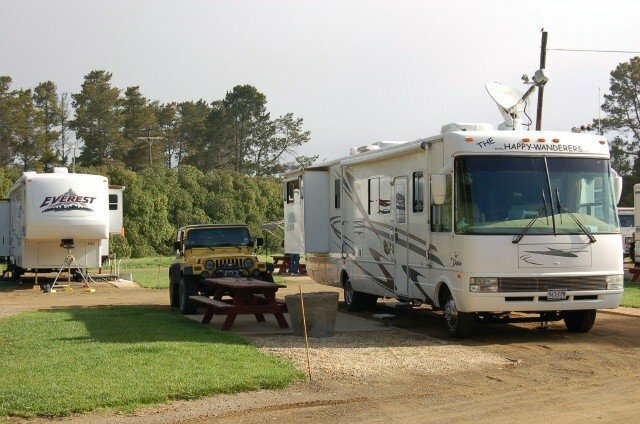 camp san luis Obispo sits half way between morro bay and san luis Obispo, on the ocean side of the coast hwy,7 1/2 miles (as the crow flies) east of the pacific ocean. 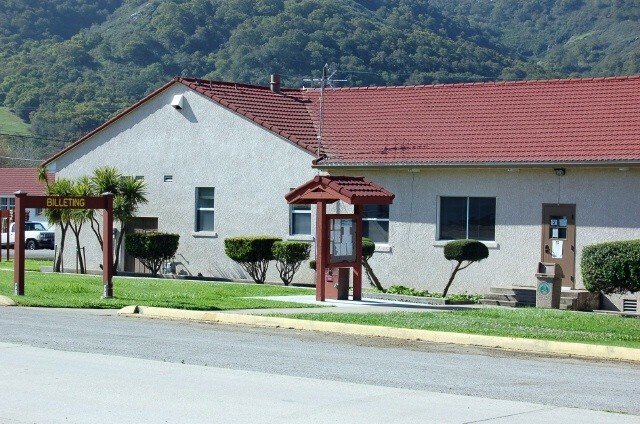 it is a small national guard base with only 12 R.V. spots. there isn't much here except the quiet, the pure relaxation of it all is worth every dollar you spend here. what could be better ? well, heck ! who wouldn't want all this plus a place to store your rig? well, want no more, I got a call from major Johnson telling me that they had just set aside a storage yard for our rigs. 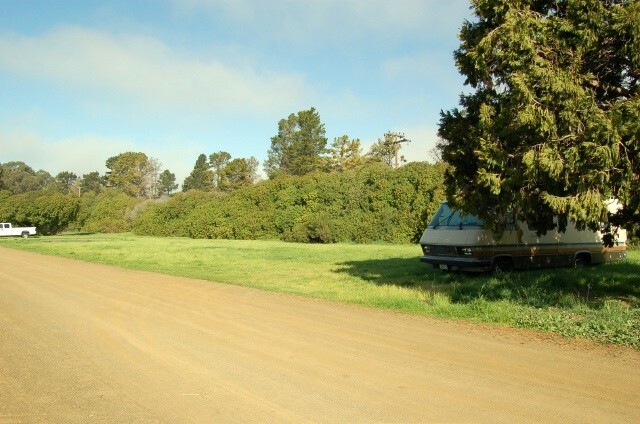 even If you never stay at SLO, who wouldn't want to store their rig this close to the ocean. the rates are way more than fair, you get a 15 foot wide spot in a hardpack lot with a 6' chain link fence topped with barbed wire. while its not for me to say what they charge, I can tell you that it is $18.00 a month less than Lemoore was charging me. consider this when you decide it's better to store your rig than tow it every time LA gets the best of you. the folks here are really good to deal with. yes the camp is small and has very little in the way of amenities, but when all you need is a quiet place where the deer wander through your R.V. spot, well this would be it. quick few days while out on my Sturgis run. things are good at CSLO, the place is packed. if there was one thing I had the power to change it would be the dog rules. there have been so many problems over the years at "all" rv parks over dogs. why can someone haul a dog all over the country and then leave it alone in their rv all day. I am camped across from a large motorhome, nice enough folks, but the leave during the day and leave their dog alone. it barks from the second they drive away till the second they return. then all the little ankle biters (rv owners all own a tiny little rv size dog) in the park join in the fun and games. dogs are very annoying when their owners leave them alone. I intend to campaign for a rule against dogs in the park all together. I think its silly that people have to take their dog everywhere they go. and the worse are the ones with multiple dogs. people ! not everyone likes your little sweetie dog ! Spent a week here over the Easter weekend. Park got full for a couple days, but was about 50% full the rest of the time. This is a nice, quiet park. We were encouraged to visit the dining facility and we're glad we did. Good food at a fair price. All of the staff were very nice and helpful. Lots of ground squirrels in the campground, which I was worried about. But we didn't have any problems with them and the RV (I have in other places). If you're here on a Thursday, be sure to visit the street market in San Luis Obispo. Pretty large and great prices on vegetables (lots of food as well). As mentioned previously, this park may soon start to be full more often. Reservations are highly suggested. We almost didn't get reservations, as we were told none were available. But luckily, they found us a spot. There are overflow sites available, with no hookups. We also enjoyed meeting and visiting our neighbors. Well, another week at CSLO, what can I say but as always it was very nice. The problem with giving (well deserved) good ratings to a small park is that sooner or later its going to get hard to get a spot. That appears to be what is happening to CSLO. This place was packed this trip. While not a destination for people with a lot of kids, (not much for them to do on base) it's perfect for getting away from the crowd. Quiet, calm stay. 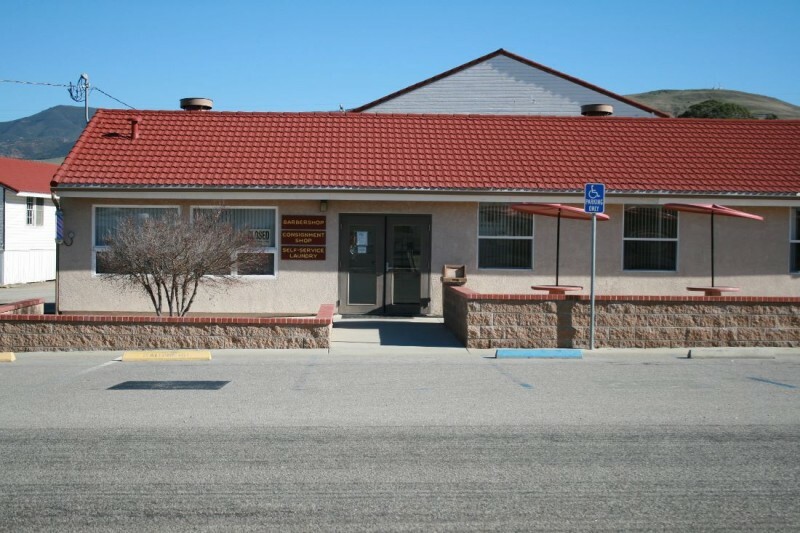 The staff is excellent to deal with, the mess hall is good, other than that, not much on base to do, you can however find a lot to do in the area. With Morro Bay up the road and SLO down the road, entertainment is just what ever you can think up. We even had a world famous celebrity camped in front of us, real nice couple, we avoided asking for their autograph, but it was hard. Just like ordinary folks they came by and enjoyed the campfire, pretty darned good folks. Who was it? Can't tell, you're just gonna have to stop by sometime and see if they are there. Awesome place, have come to CSLOP many times. The only problem I have experienced here the past 2 times are that when it is after hours and the Billeting office is closed. Have had other people in site that was already assigned to myself. I would recommend calling the office the day of arrival and make sure what site you are in. Also the office does leave you a envelope with your site and other stuff for your stay. Its located in a locked box located next to the front door of billeting. The combo is located on the front door of billeting. 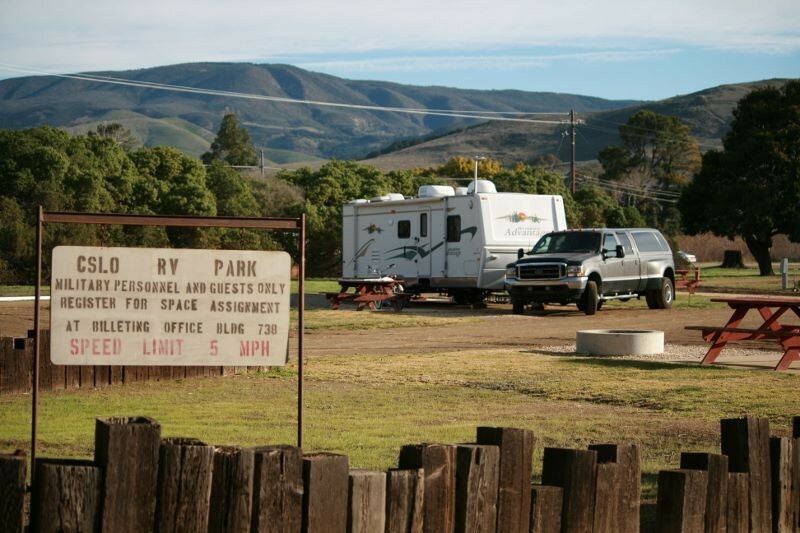 Would recommend that the billeting office before closing go down to the RV Park and place placards at each site indicating who the site is reserved for. 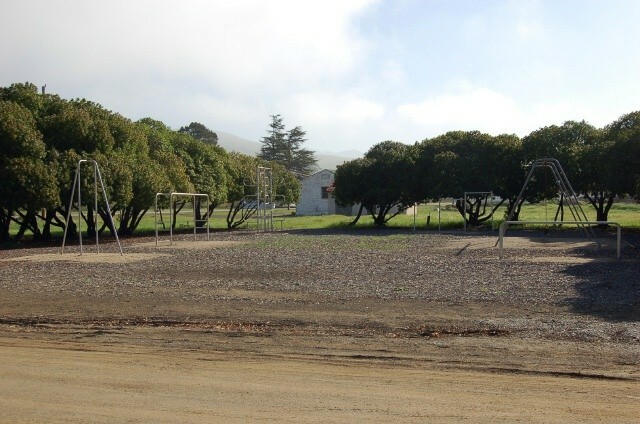 Camp San Luis Obispo is clean, quiet and in a great location. I am not going to restate what has been covered in previous reviews other than say they are spot on. After reading one earlier review about the difficulty of access through the gate due to security barriers I considered changing my plans to stay at CSLO. I am glad that I didn't change my plans because I did not think the entry was anymore difficult than other bases. I am mot referring to the initial entry into the base with the fifth wheel because at that time you will be directed to use a barrier free opening. It is only when you leave the base and return that you have to drive through the barriers. CSLO is just getting better all the time. The major in charge of the r.v. park is a really nice man to deal with, unfortunately for us, fortunately for him, he will be retiring in 18 months. Here's hoping his replacement is as easy to deal with as he is. While here we discussed the possibility of CSLO renting storage space for R.V. 's hopefully the decision to do that will be forthcoming. If that interests you let the Majors office know. As always this was a really good stay, the park is clean and well kept, the staff is very good to deal with. 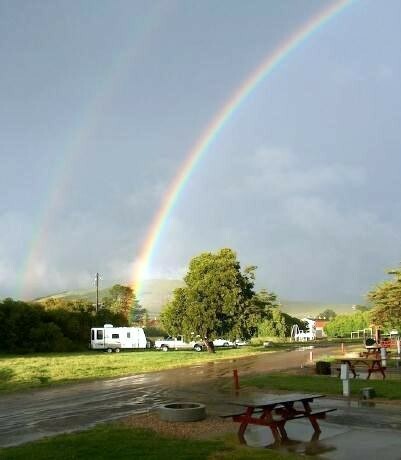 Camp San Luis Obispo is located on Hwy 1, half way between Morro bay and San Luis Obispo. 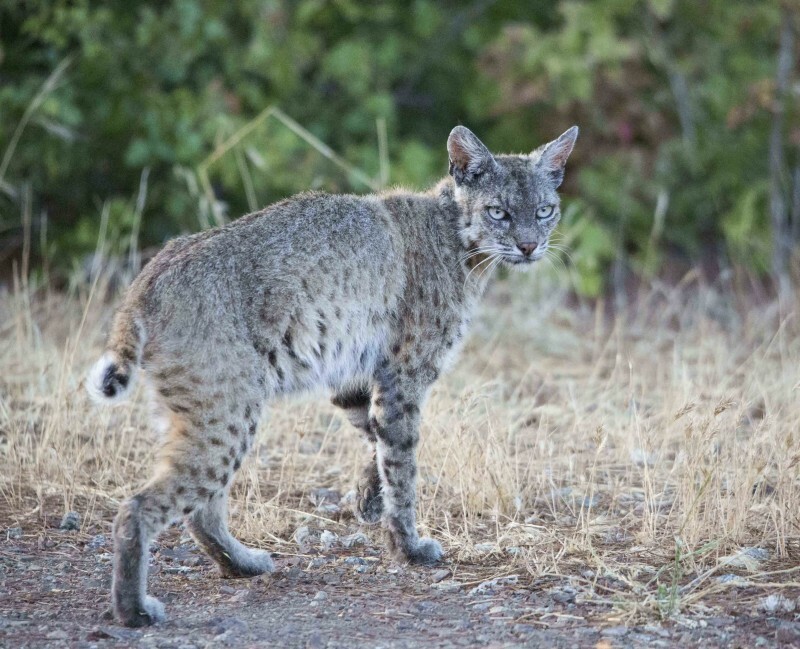 it is only 35 miles south of the Hearst castle. Morro bay offers fishing trips galore, whale watching, tours, etc. I went out with Virg's fishing, we went out a couple miles and I caught 10 cod and one 20 pound link cod. Really had a good time, and Virg's gives a 50% discount to military and veterans. I had lunch with the major at the base mess hall while I was there, very good food, very reasonable. Also for you that have no R.V, or just want a trip without it, the base has rooms to rent that are unbelievably nice. I mean "really" nice and about 1/2 the price of a room in either town, Debbie, Sarah, or Linda in billeting can arrange it for you. try it, you will really like it. As always, remember that you need DOD identification to access the base. Also, the r.v. park doesn't have wi fi, but that is the price we pay for such a nice place at what is a very reasonable price. We spent a week at San Luis Obispo and the location can't be beat. San Luis Obispo is in a beautiful area and very convenient to touring the area. The sites are large and it is very quiet. We did not eat in the dining facilities, so I can't comment on it. Amenities/Facilities I gave a 3 because of the barriers at the gate. We have a Dodge 3500 Dually truck and it was extremely difficult to go thru. I do understand that we need to have security on our bases, but we have stayed at Military Campgrounds across the United States and I feel that this was the most difficult to maneuver. If the barriers were set up a bit differently San Luis Obispo would be a 5.